Find the village that fits your lifestyle. 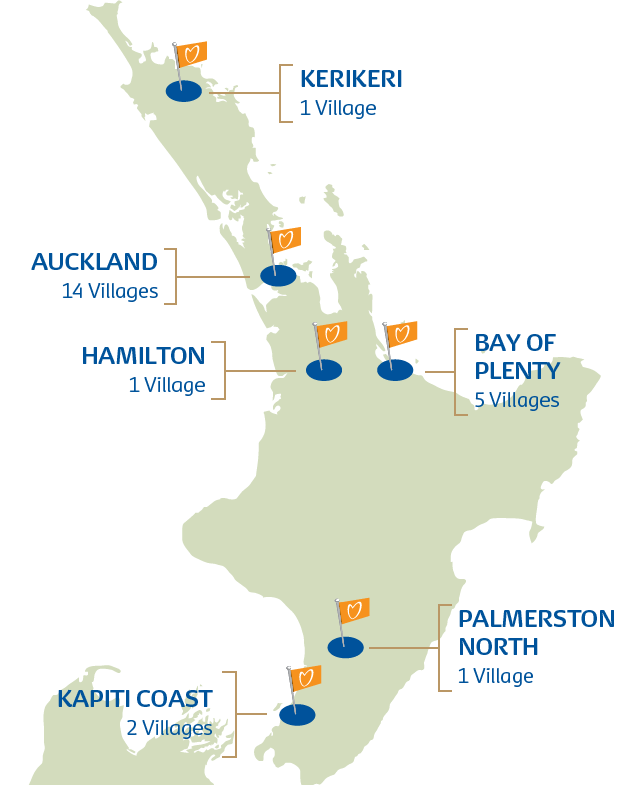 Metlifecare offers exceptional retirement living across the Bay of Islands, Auckland, Hamilton, Bay of Plenty, Manawatu and the Kapiti Coast. Each one unique and reflecting the local communities they call home, while striving to provide the very finest independent retirement living. Click on your preferred location to view villages near you.